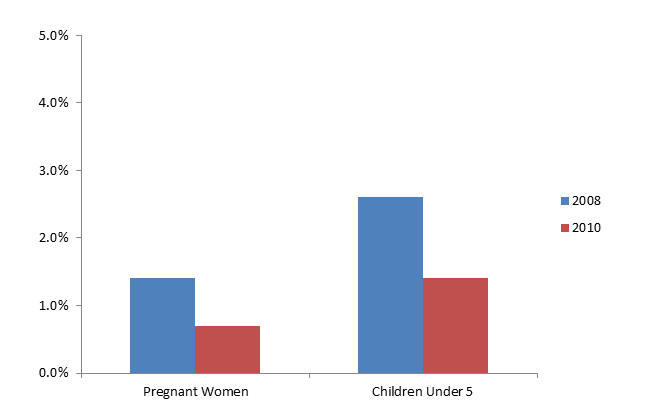 Approximately one in five outpatients tested positive for malaria in Gisagara District, Rwanda from January to August 2013. The President’s Malaria Initiative-funded Africa Indoor Residual Spraying project (AIRS) is protecting people from malaria in Gisagara and two other districts in Rwanda through indoor residual spraying (IRS). In 2013, the Abt Associates-led AIRS project sprayed nearly 225,000 structures protecting more than 975,000 people from malaria in Rwanda including approximately 16,000 pregnant women and 147,000 children under 5. Gisagara District Mayor presenting his speech to the participants. IRS is part of an ambitious malaria prevention and control program in Gisagara where district leaders hope to reach zero malaria deaths by 2017. In addition to protecting nearly 1 million people from malaria per year with IRS, the district is destroying mosquito breeding sites, distributing long-lasting insecticidal nets, and providing diagnosis and early treatment at community health facilities. As a result of these efforts, malaria prevalence has decreased by half among Rwanda’s most vulnerable populations of women and children under 5 from 2008 to 2010. As a testimony to Gisagara Districts’ commitment to preventing malaria, the Kansi Sector hosted an event celebrating the launch of the September 2013 IRS campaign, presided over by the District Mayor, Karekezi Leandre. Public health leaders, including officials from the Ministry of Health, implementing partners, and community members attended. In his speech, the Mayor urged the population to ensure that their families are protected against malaria by embracing all malaria control strategies including IRS. “Since the launch of IRS in the district in 2011 absenteeism at work, on farms and educational establishments due to malaria has decreased tremendously contributing immensely to the economic development of the district,” said District Mayor Leandre. 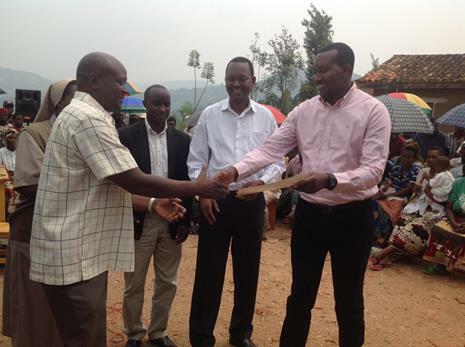 Gisagara District Mayor presenting a certificate of appreciation to Abt Associates AIRS Rwanda project. 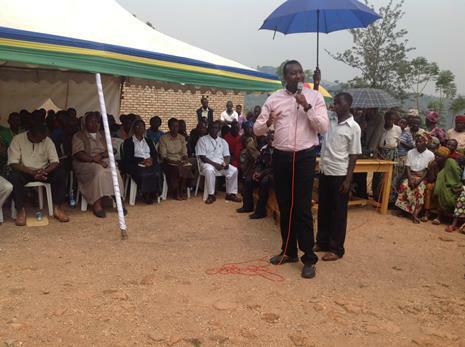 The Mayor praised the partnership between Gisagara District, the Ministry of Health and the AIRS project. He commended the AIRS project for training more than 400 community health workers and nearly 1,000 village leaders to support IRS. These capacity building efforts were recognized as a way to make IRS more sustainable. As a gesture of appreciation, the Mayor awarded certificates to the Ministry of Health and Abt Associates for their great support and commitment to malaria control. Rwanda was among nine countries recognized for their contribution to the fight against malaria by the African Leaders Malaria Alliance Forum in January 2013, receiving the Malaria Excellence Award in the categories of Policy, Impact and Implementation. “This is a great honor and encouragement for the country and everyone’s contribution and cooperation is needed for the success of malaria control efforts in the country,” said Emmanuel Hakizimana, Director of Vector Control at MOPDD.